As an expat we get to experience cultural habits and festivities from all over the world and so we recently experienced our first babyshower. I decided what gift I wanted to offer a while ago but did not start until 1.5 hours before the shower started. 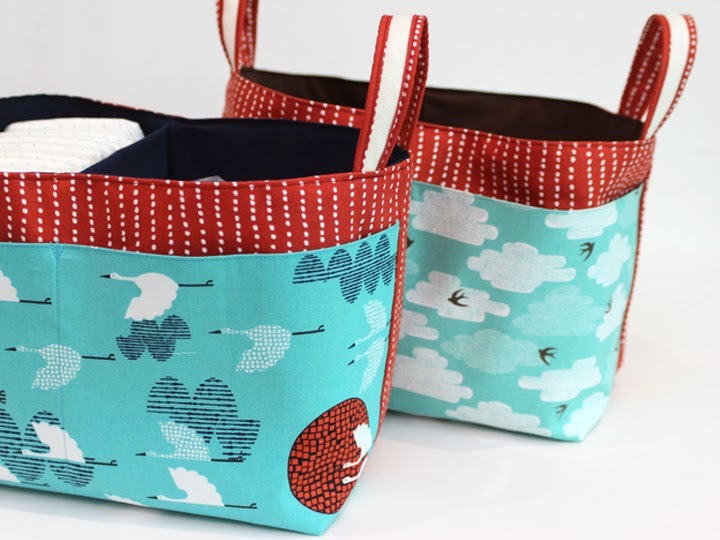 This timeframe seemed a good 20 minutes short to choose fabric, sew 2 Noodlehead divided baskets, and also take pictures for the blog. We went to the shower empty-handed but with the promise that –according to normal Belgian habits- we will bring the gift to the maternity clinic. Pattern: I used the Noodlehead divided basket pattern. 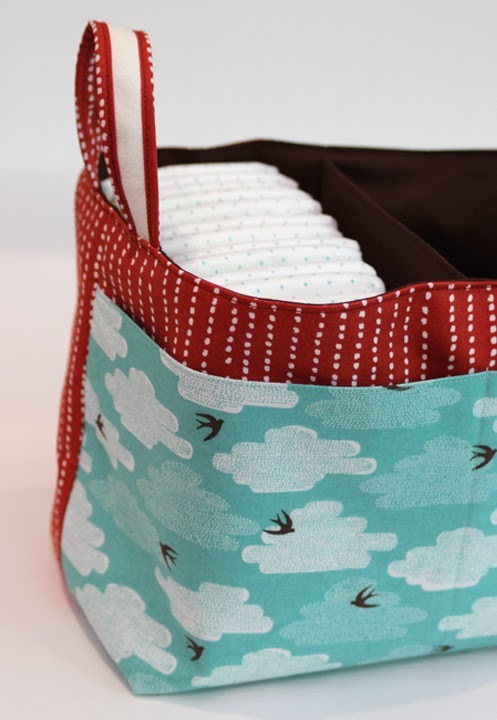 Fabric: The fabric is 1000 Cranes in Cerulean from the Tsuru collection of Rashida Coleman Hale for Cloud 9. 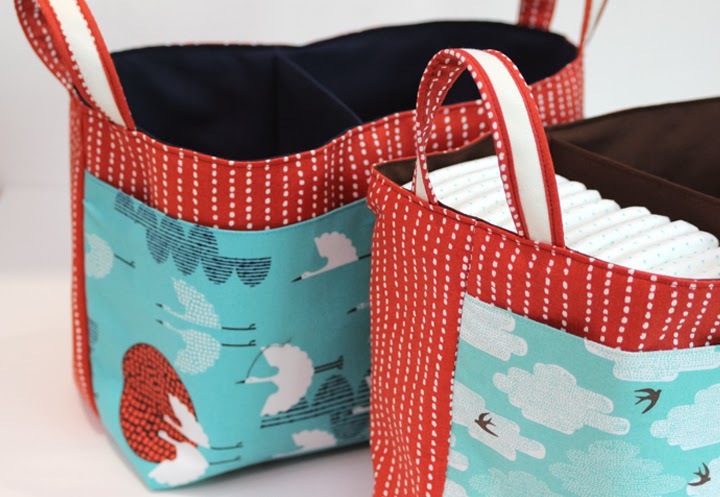 The red fabric is Dots and Stripes from the Up Up and Away collection of Skinny laMinx also for Cloud 9. 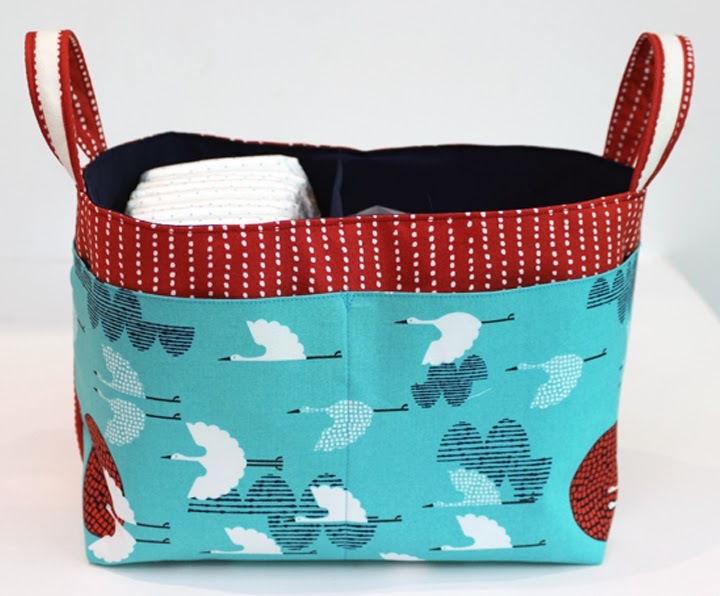 The other turquoise fabric is Free as a Bird of that same collection and from the same designer as the red fabric.